KNK Polyimide-Nomex®-Polyimide Flexible Laminates is a triple-layer combined flexible insulation material, consisting of DuPont Nomex® Paper covered on both sides with polyimide film. KNK exhibits very good electrical strength, high thermal resistance as well as excellent mechanical properties at elevated operating temperatures. It has a smooth surface which allows a trouble free manufacture of low voltage motors where coil inserting machines are used. 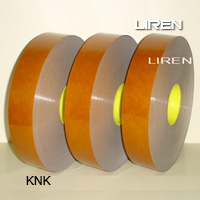 KNK is mainly used as a slot liner, slot closure, phase-to-phase and turn-to-turn insulation in low or medium voltage electrical motors of Class H up to Class N (180℃ to 200℃) insulation system. In addition, it is also used as interlayer insulation in transformers and other electrical machines and appliances. 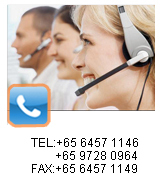 ※ Special thickness or combinations can be supplied per customer's request. Note: The technical information, data, recommendations, and other statements provided are based on tests or research which we believe to be reliable, but such information shall in no event constitute a warranty of any kind by Liren. Before using this product, all purchasers should carefully evaluate its suitability for their intended applications. Nomex® & Kapton® are registered trademarks of DuPont.